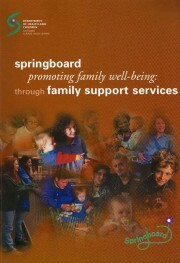 The Springboard initiative represents the first major family support initiative of its kind in Ireland. It was established in 1998 and an important part of the work during the pilot phase included the full evaluation of the services provided and the outcomes for families. This evaluation report fills a gap in Irish-based research on what works in intensive family support services. Commissioned by the Department of Health and Children, 186 pages.